In prime New York City commercial buildings, there are several penthouses currently available in today’s outfits. Property owners, brokers, and analysts agree there are more penthouse offices available than in previous years. 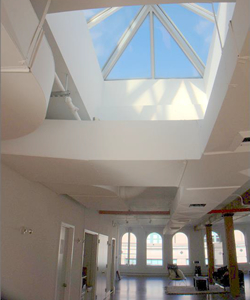 Many of the penthouse offices have remained empty for more than a year. The prolonged vacancy may be due to the spacious rooms and odd layouts creating a hindrance for many tenants. While penthouse offices are not all carbon copies of each other, a grand floor plate is quite common in penthouses. The common office size is 5,000 square feet or less in many New York City offices. Some penthouse offices are unique and exceptional; others are simply the top floor office. Penthouse offices offer stunning views of New York City and outdoor seating which is unmatched. High-end penthouse offices are asking annual rents $150 a foot, although most are rented from $100 to $125 a foot annually. Penthouse offices present more difficulties with defined pricing. Many brokers and property owners will avoid a specific asking rent and instead say the base rent starts at $100 a foot. A penthouse office is not a perfect fit for everyone. According to brokers and analyst, a finance firm is the most likely to occupy the space. A family trust, hedge fund, or investment firm looking to leave an impression. Many of the penthouse offices in the most prominent commercial buildings are occupied especially in the renowned Plaza District. The Midtown penthouse office is in high demand and may become stronger. A penthouse office features amenities not available in the majority of offices throughout the building. A private entrance, private elevator access, and taller ceiling heights may be included with penthouse offices. 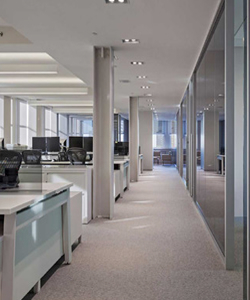 Many commercial buildings are comprised of single level/floor offices, while the penthouse office may offer more than one level/floor. Other distinguishing features are a larger floor plate, multiple suites, terrace, and oversized windows. A penthouse office is often considered prestigious and more expensive. The Fortune 500 companies typically occupy the penthouse office. A penthouse office is a status symbol and leaves a great impression. When considering a penthouse office for your next office – contact our brokers to view floorplans, office photos, and other important details. To tour and view any of Manhattan’s available penthouse office spaces, we can assist you with all the information at no obligation or fee.